2017 was a year of tremendous growth and increased impact for STEM education in Colorado. We’re excited to bring you up to speed on our new partnerships and our 2017 accomplishments that helped to increase STEM education and experiences for Colorado students. Colorado STEM, a public-private partnership launched in 2014, works to ensure all Colorado learners have the science, technology, engineering, and math (STEM) education and experiences they need to succeed in the innovation economy. 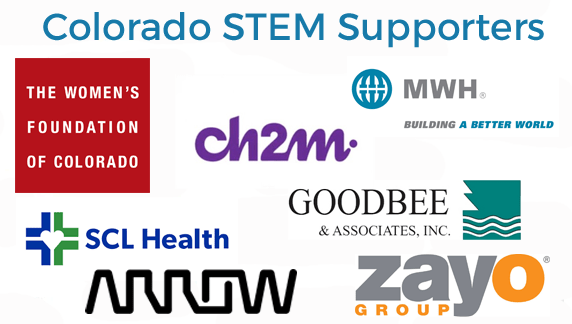 Since its founding, Colorado STEM has successfully built a diverse coalition of stakeholders across the state to significantly expand STEM opportunities across the state. This year, Colorado Succeeds and key partners announced a new effort to supercharge Colorado STEM via the updated Colorado STEM Roadmap. Under the STEM Roadmap 2.0, Colorado Succeeds serves as the host organization and works closely with implementation partners including Colorado Education Initiative (CEI), mindSpark Learning, and America Achieves. Implementation partners provide strong connections to Colorado educators, schools, and districts, and support STEM Champions in deepening their relationships with schools interested in improving STEM. Expanding STEM opportunities and partnerships is due, in part, through the support of STEM Champions. 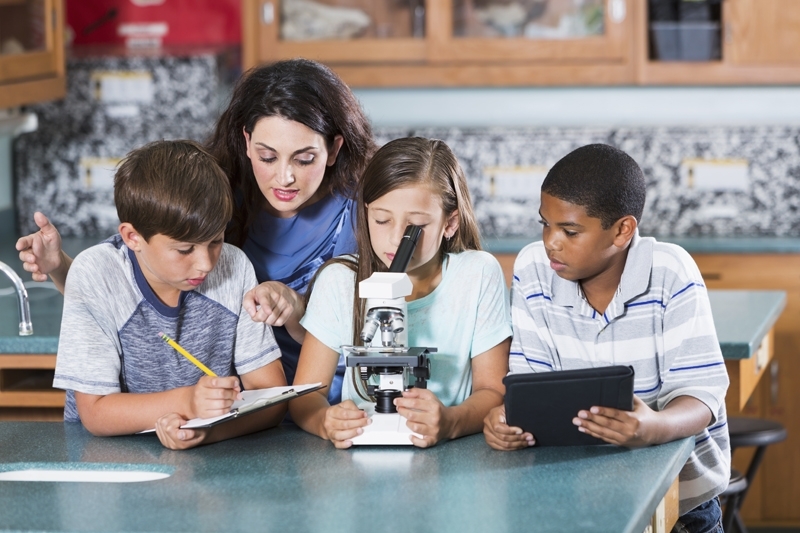 STEM Champions are change agents for how school and industry work together to ensure all students have access to high quality STEM education and experiences that will prepare them for success in their future. STEM Champions are comprised of corporations, foundations, and individuals committed to investing in incubating innovation and scaling success statewide. Interested in becoming a STEM Champion? STEM Coalition Growth: STEM Champions joined Colorado Succeeds’ business coalition, enabling greater impact and deeper connections. 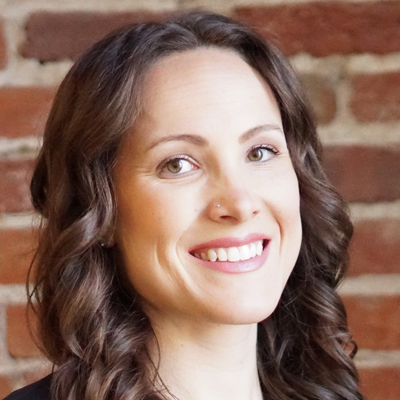 As a larger coalition embedded in STEM industries, STEM Champions lend their expertise around rapidly changing industries and help inform how education can meet those ever-evolving needs. Work-Based Learning Tools and Stories: Recognizing the value of high-quality work-based learning experiences for students, we created Work-Based Learning toolkitsfor businesses and educators. These partner-vetted, single-page documents make it easier for educators to find the tools and partners they need to develop work-based learning programs, and for businesses to more easily and meaningfully connect with schools. We also created a series of videos showcasing how school districts are building and scaling work-based programs thanks to a new pilot program created in 2016. Don’t miss these videos featuring Salida and Vrain Valley school districts. Engaging with State Leaders on STEM: Members of Colorado STEM recently met with state agency leaders and policymakers to help guide the vision for the future of education in Colorado, with STEM at the forefront. TalentFound Sectors Summit: Our partners at the Colorado Workforce Development Council (CWDC) brought together more than 500 leaders from business, education, and government at the 2017 Sectors Summit. The goal: to accelerate work-based learning and talent development through competency-based hiring, education, and training. Outcomes include the creation of a work-based learning community of practice and regional work-based learning plans. CEI’s Annual Showcase: STEM implementation partner, the Colorado Education Initiative, convened more than 300 educators at their annual Showcase, which offers attendees the opportunity to connect with one another and attend professional learning sessions. Colorado Succeeds and CEI co-hosted interactive sessions on new STEM opportunities, including one on work-based learning and one computer science education. The Succeeds Prize: At the inaugural Succeeds Prize, we recognized and rewarded innovative Colorado public schools and educators with $137,000. Schools received up to $15,000 to support and scale their efforts, and will receive training and professional development in the new year. The winners are already putting the funding to good use. Check out this story on the Innovation Award winners from STEM Launch K-8 in Thornton. Business Delegation Visit to Nashville: We recently convened 35 business leaders from across the state in Nashville, TN to learn from their successful STEM and workforce development efforts. STEM Champions, including Ball Corp., Climax Molybdenum, and Boeing, joined us to meet with national and local experts, gain exposure to new and innovative educational models, and learn about the work happening in Colorado to spur partnership and deepen impact. 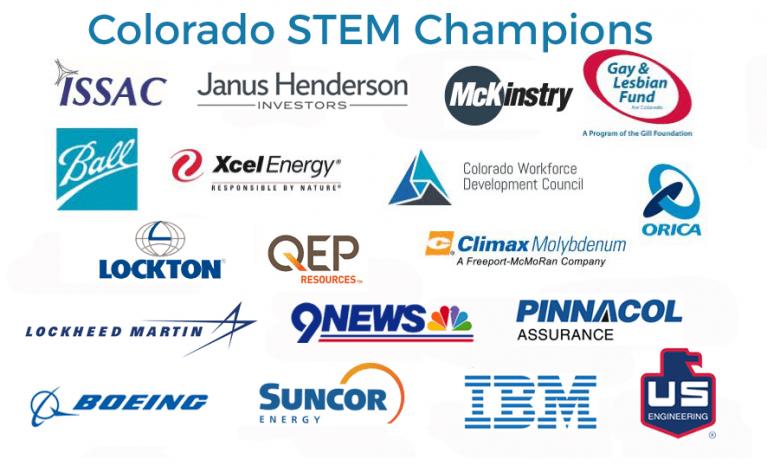 Colorado STEM Champions can help all Colorado students succeed in the innovation economy. There are a variety of ways to get engaged based on your and your company’s interests. If you have questions, please contact Ashley Andersen. All that we’ve accomplished above and seek to achieve in 2018 would not be possible without this coalition’s commitment, engagement, and investment. We are grateful for STEM Champions partnership in this critical work and look forward to moving the needle further next year.